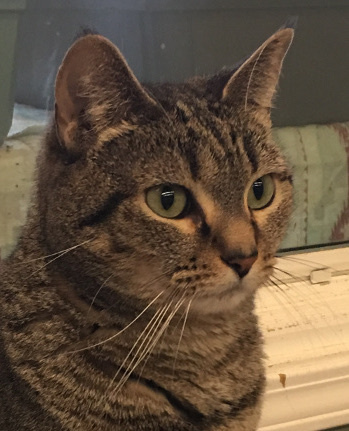 My name is Brooklyn, and I am a sweet brown tabby with soft, velvety fur. When I came to the HSCC, I was a first-time mom with my babies. I taught them the best I could and am happy to say that they have all been adopted; now I would like to find a home to call my own. I am shy around large groups of cats but would do well in a home with one or two other feline companions, or as an only cat. I love to give and receive affection! I will ask for your attention, and I enjoy being petted and snuggling in your lap; sometimes I even want to be held. I would love the chance to live in a home environment with a loving family; I am certain that my personality will continue and shine and flourish.